Worldwide Aircraft Ferry and Pilot Services | Aviation Dynamix, LLC U.S.A.
International ferry pilots can move any aircraft, anywhere and most of the time at short notice. Experienced crews are offered as contract pilots throughout the world. After the delivery of your new aircraft, our crews are available to fill the gap if your pilots are still in training. Professional acceptance staff will assist you in the final delivery acceptance process. 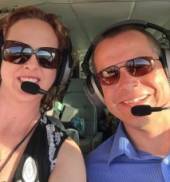 Owned and operated by Andre and Sarah Grosvenor – Chopper Dynamix, Inc and Aviation Dynamix, LLC were founded in 2002. A need was seen in the aircraft ferry industry for a company that could offer not only high quality service and support, but a commitment to excellence. Andre Grosvenor has extensive experience on multiple aircraft and helicopter types. Combined with experience of our pilots and associates in the industry, we provide an extremely well-informed staff who are ready to meet your requirements. We believe that our years of experience, consistent referrals, and many happy customers who continue to come back to us, attests to our solid presence in the aviation industry. We take pride in your aircraft and we are happy to be of service. We specialize in services from Start to Finish. 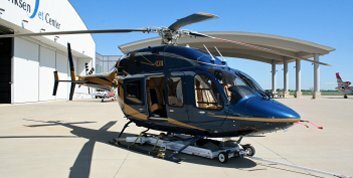 New and pre-owned aircraft and helicopters are our specialty. We strive to provide the best experience as we represent and/or work with you on the delivery of your asset. Everything from a thorough pre-buy inspection, acceptance of your aircraft, and training of your crew to the safe delivery of your multi-million dollar asset and so much more. Excellent customer service is our primary goal. We work to ensure that you get the best machine for the price you paid. In addition to helping you through the delivery process, Aviation Dynamix LLC, can provide you with complete aircraft management solutions. We can customize a management package to suit your specific needs. Whether you require an all-inclusive package with crew, maintenance, subscriptions, insurance and hangar, or a more basic solution to assist with the technical side of owning an aircraft. We can furnish you with precisely the services that you need. We are ready to be flying the Max again and looking forward to deliveries worldwide. Pilots are on Standby so we look forward to it. #737Max #Boeing #B737Dennis Muilenburg, Boeing Chairman, President and CEO, experienced first-hand our MCAS software update performing safely in action during a 737 MAX 7 demo flight today. Baie mooi vliegtuig en n PUIK vlieenier! André Grosvenor, with over 10,000 flight hours in fixed wing aircraft and helicopters and flights to almost every continent in the world, started Chopper Dynamix Inc in 2002 as a part 135 Helicopter charter business. Soon after Aviation Dynamix LLC followed as a natural progression of the business to assist customers with all aspects of their aviation requirements. 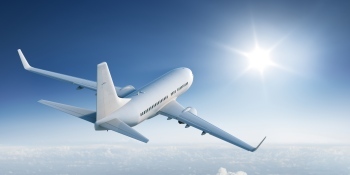 Over 30 years’ experience in a wide variety of aviation functions ensure a broad spectrum of services to the clientele. The aircraft ferry market from Boeings to Cessna’s, needed a full-service company that provided not only complete delivery services but also excellence in service. That’s the foundation for this company and it’s based on hard work and excellent service with the company continuing to grow each year. Aviation Dynamix LLC specializes in services from Start to Finish. Including, but not limited to: worldwide delivery of aircraft, training and mentoring of crews, pre-delivery inspection of aircraft for local and international clients, as well as flight-ready storage. We employ pilots and office staff, full time and provide contract pilots as required. We can assist with all your aviation requirements. 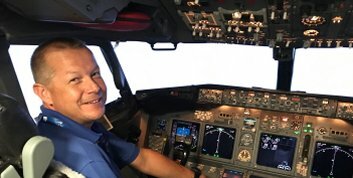 Andre Grosvenor, owner and chief pilot for Aviation Dynamix in Wichita, travels the world delivering airplanes and providing training and other services. Sarah Grosvenor, his wife, fills the position of Vice President of Operations ensuring the smooth running of the day to day business. Her duties include management of office staff, pilot scheduling, and customer service. All our staff work to ensure clientele requirements are not only met, but exceeded. A long track record of excellent customer service and competitive pricing leads to people sharing our name and sending referrals our way. We always ask a new customer how they heard about us. More often than not, they say that they are a friend of someone who has previously used our services, or they have read about us on pilot forums online and kept us in mind. Additionally, aircraft owners and operators all over the world come back to us time and time again when they need assistance or flight support. Our staff is committed to running a safe, timely, and cost-effective operation, and everyone that we work for knows that we are on their side. We strive to exceed expectations. We are thankful to give and receive such great support.